This weekend we have four new releases. Two of them are two mesh kits: a fireplace and a wall sconce. 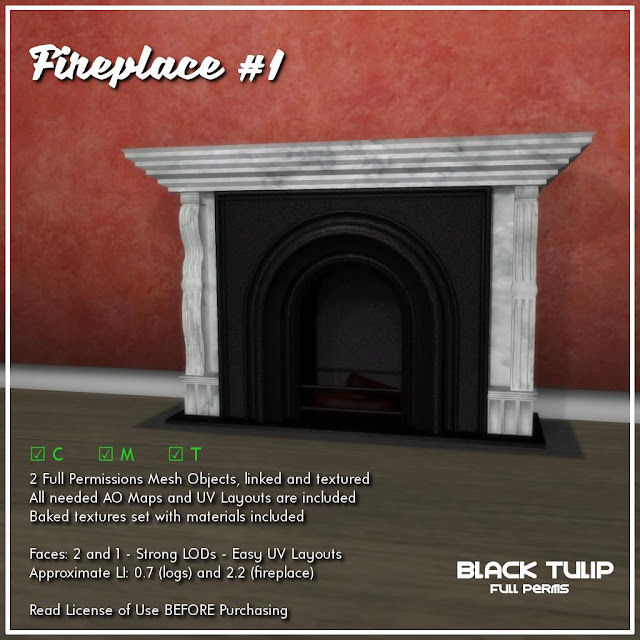 The two sets include baked textures with materials. 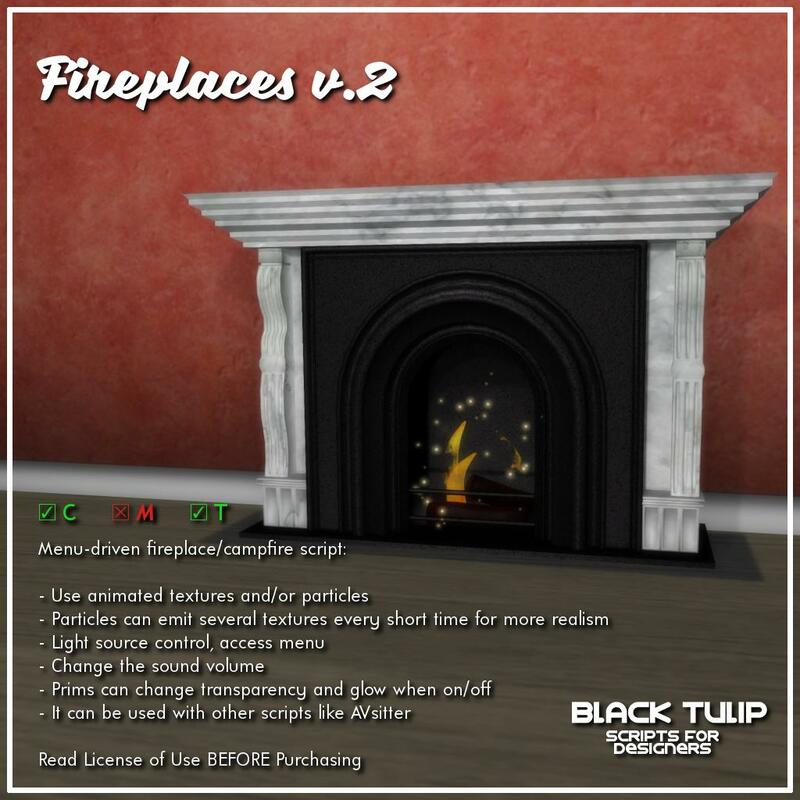 The third item is an updated version of our Fireplaces script. Particles can emit several textures every short time for more realism. Textures can be emitted randomly. The radius of the emission can also change randomly. 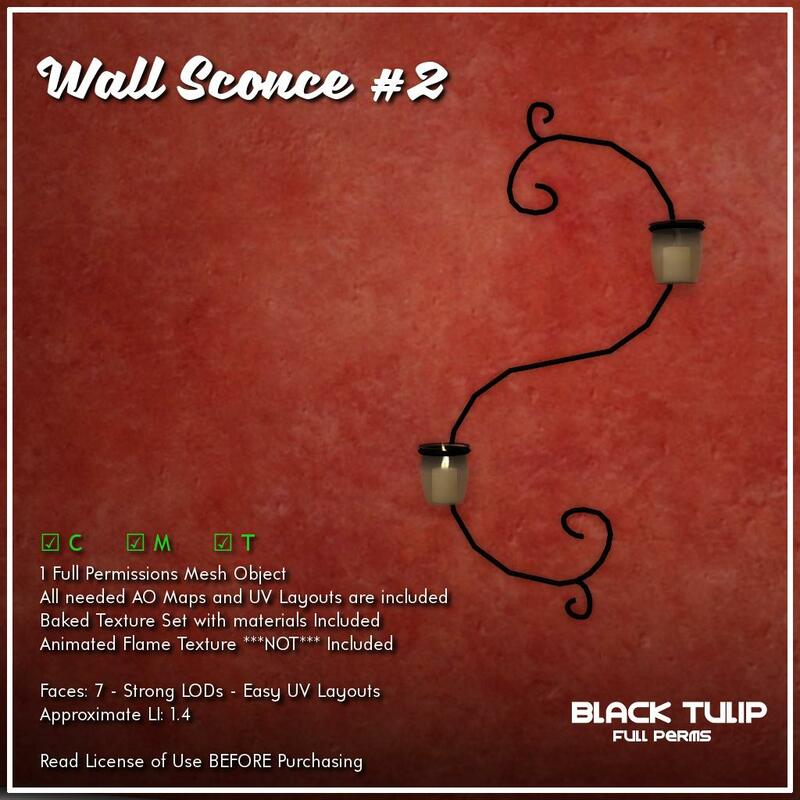 Light source control, access menu. Prims can change transparency and glow when on/off. It can be used with other scripts like AVsitter. The novelty is that we no longer need a separate [MODULE] script. Auxiliary tool included to set up the transparency and glow parts. If you're a group member and purchased the full version in the past, the upgrade is free for you: make sure of clicking on the right vendor at the store, or IM Auryn Beorn to solve your doubts. In any other case, we have a 50% discount during one week. 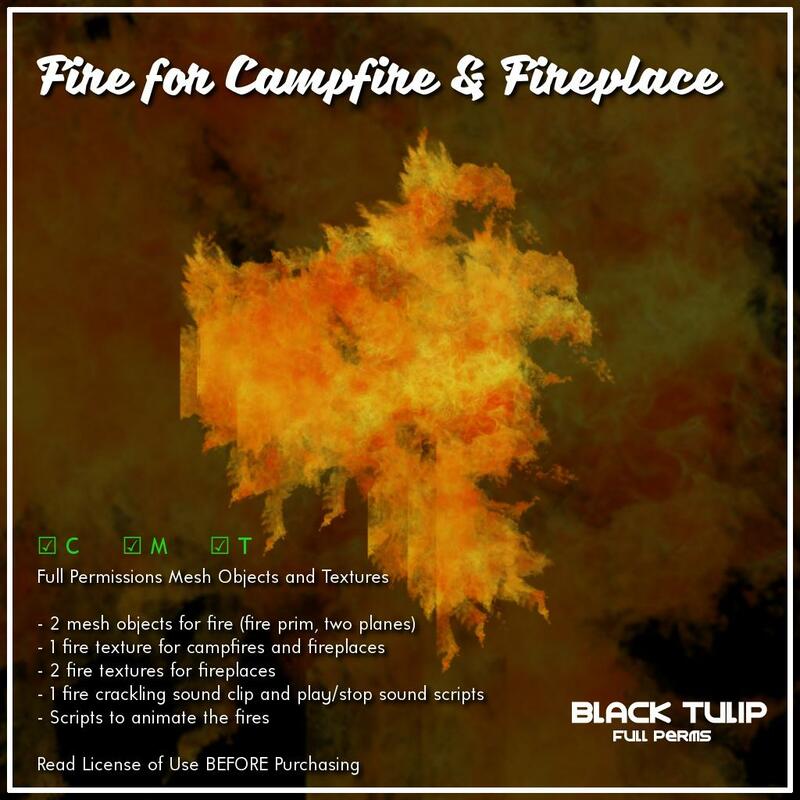 Lastly, we have a Fire Kit: Textures and one sound for fireplaces, campfires and even torches if you want to give the fireplaces script that use. Scripts to turn the animations on and the sound on/off are included. Promotional price of the mesh kits is valid only until Monday, click here for your taxi.